This is a square Pave-Ol Paving Paint porcelain sign. This particular Pave-Ol Paving Paint sign is predominantly white with red and green text. 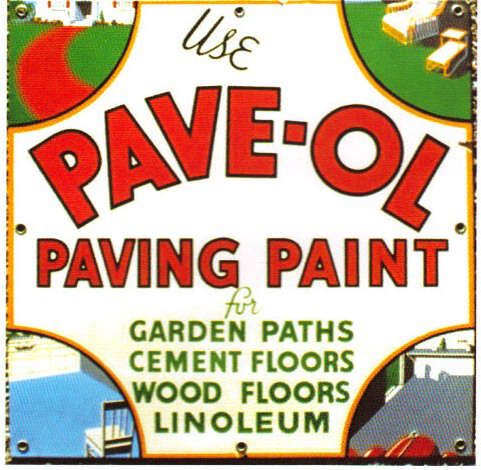 It reads, “Use Pave-Ol Paving Paint for Garden Paths, Cement Floors, Wood Floors, Linoleum” and features colorful images of the Pave-Ol paving paint in each corner of the sign.